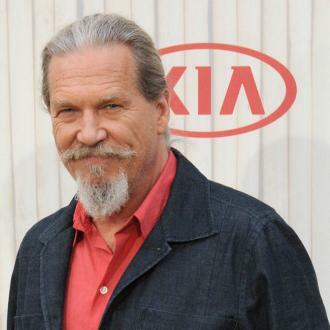 In recent years, Jeff Bridges has been enjoying his status as a veteran actor who specialises in grizzled leaders (see The Giver, Seventh Son or of course True Grit). 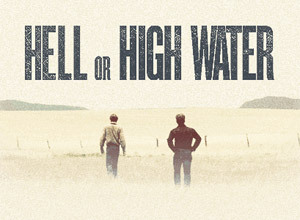 Now with Hell or High Water Jeff Bridges has his best role since his Oscar-winning turn in Crazy Heart. Bridges plays the curmudgeonly, savvy Texas Ranger Marcus Hamilton, quietly chasing down bank robbers Chris Pine and Ben Foster. "What I liked about this movie is that it's not all so cut and dried," Bridges says. "You just never can quite figure out who are the so-called good guys and who are the bad guys. I think there's a bit of good guy and bad guy in almost everyone in this film. Marcus is a man who not only is underestimated by other people, but I also think he, like a lot of us, underestimates himself." The script is by Taylor Sheridan, who also wrote Sicario, and Bridges loves the way the story transcends the genres. "It's about these times today as much as the classic theme of the West fading," he says. "I guess all times change - that's a rule - but this movie's about these specific times and the power of money and banks and what that's doing to our society." A sensational animation starring Jeff Bridges, Marion Cotillard and Paul Rudd. 'The Little Prince' is coming to Netflix in the US and Canada this summer, five months after it's original release date with Paramount. 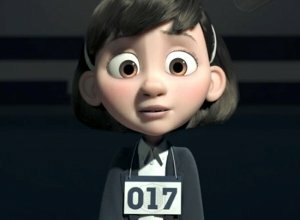 Based on the 1943 French novella of the same name by Antoine de Saint-Exupéry, this unique children's drama blends together stunning CGI animation and classic stop-motion techniques. The movie originally made its premiere at Cannes Film Festival and earlier this year it won Best Animated Film at the César Awards in France. It's due to hit Netflix later this year but is also expected to have a theatrical run. "The Little Prince" Aims To Preserve Authenticity, But Will It Impress At Cannes? 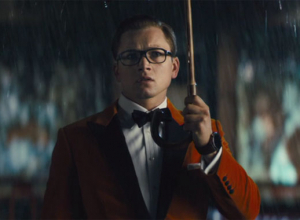 The film will be released in France in July, with US and UK plans still unannounced. It was pretty gutsy of American director Mark Osbourne to take on the adaptation of one of the most beloved works of French literature – The Little Prince – and then give it a Cannes premiere. 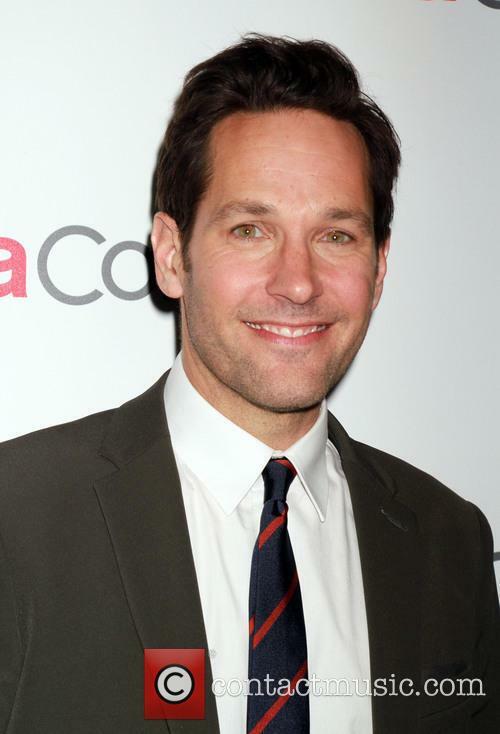 Paul Rudd voices The Prince in the ambitious production. So maybe it was self-awareness that led Osbourne to employ a slightly different take. The movie is a story within a story, where in which a Little Girl, voiced by Mackenzie Foy (the 10-year old Murph in "Interstellar") is introduced to poet and novelist Antoine de Saint-Exupery's classic by an elderly aviator (Jeff Bridges). It echoes the original story, in which an aviator, who crashes in the dessert, forms a friendship with a small boy, the "Little Prince", who says he is from an asteroid and tells the story of his life. Continue reading: "The Little Prince" Aims To Preserve Authenticity, But Will It Impress At Cannes? 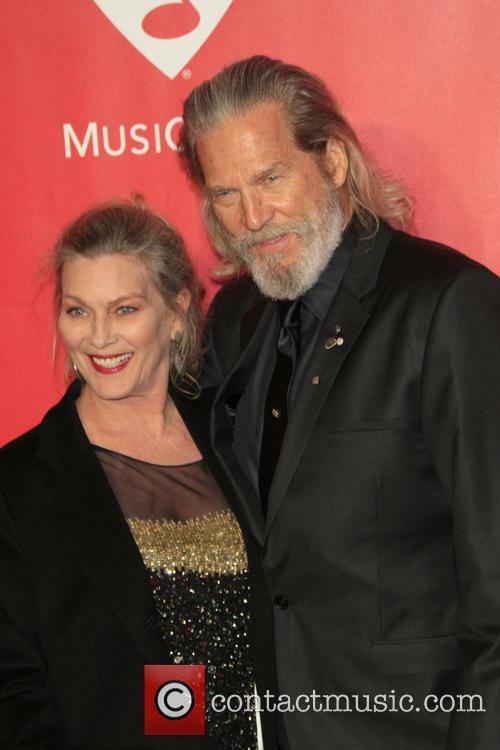 Jeff Bridges and his wife of 37 years Susan Geston made their way to the New York premiere of 'The Giver' held at the Ziegfeld Theater alongside Jeff's co-stars in the movie Taylor Swift, Katie Holmes, Brenton Thwaites, Odeya Rush and Cameron Monaghan. Victoria's Secret model Lindsay Ellingson was also seen at the event. 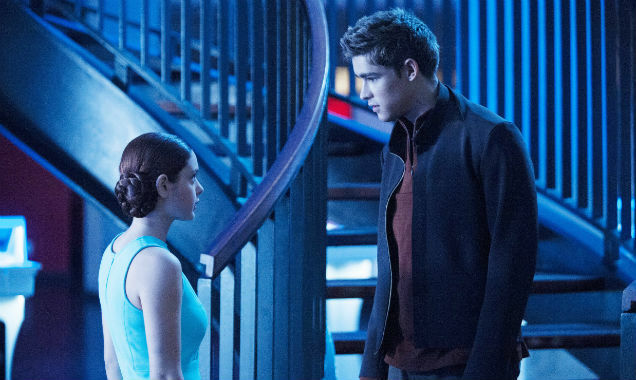 The Giver: What Do We Need To Know? 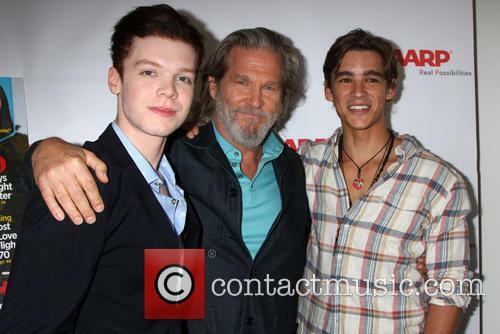 The Giver was released in US cinemas on 15 August - what can we expect when it comes across to UK shores? American social science film, The Giver, was recently released on 15 August in the USA and is due to hit UK cinemas in the next few months. The film centres on a ‘perfect’ utopian society that lives without pain, war, suffering, differences or choice. However, when 12-year-old Jonas, played by Brenton Thwaites, is chosen to be the community’s Receiver of Memories, he must take on the emotions lacking in his perfect community and confront the unhappy truths of the real world. 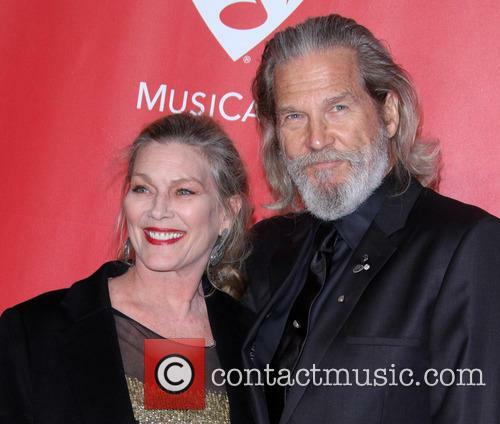 Based on the 1993 novel of the same name by Lois Lowry, the movie has been produced by Jeff Bridges who spent years trying to bring the futuristic novel to the big screen. After encountering obstacles when Warner Bros. bought the rights to the film, Bridges was finally able to bring his vision to worldwide cinemas. Continue reading: The Giver: What Do We Need To Know? 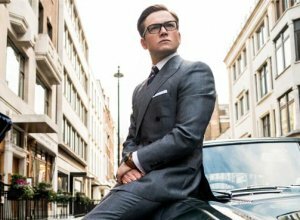 No surprises in this weekend's box office, but it was a relief for Hollywood. Not much to report from the box office after this week – despite all its manpower, Expendables 3 just couldn’t outgun previous chart toppers Teenage Mutant Ninja Turtles and Guardians of the Galaxy and ended up fourth in a line of new releases and return champions. The Turtles continued their reign with a respectable $28,4 million on their second outing according to Rentrak (via The Huffington Post). Check out the guns on that turtle. Guardians trailed only slightly behind with $24,7 million. In a slight disappointment for Marvel, the superhero space opera lost its lead in just the second week to the CGI-heavy TMNT flick. Even so, on its third week, GotG has reached an impressive cume of $222 million for distributor Walt Disney. 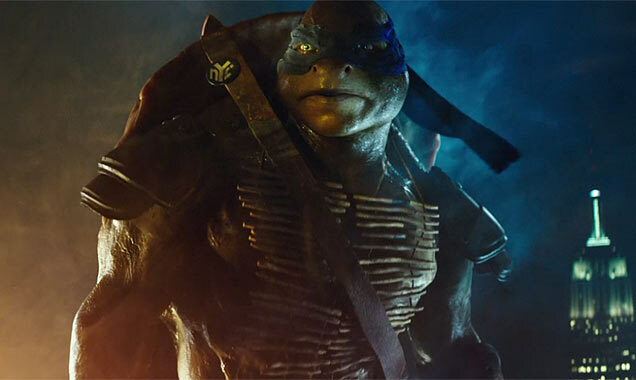 Coupled with TMNT’s earnings this should enough to restore some faith in the 2014 summer box office from studios. For comparison, August so far marks a 14% increase in profits since last year, which of course concerns the average moviegoer roughly 0%. Robin Williams was famous for bringing the characters of Mrs Doubtfire and Aladdin's Genie to life. But what other, lesser-known projects did he appear in? The late Robin Williams was well-known for a number of iconic roles and had spread his talent liberally across comedy, thriller, drama and animation. 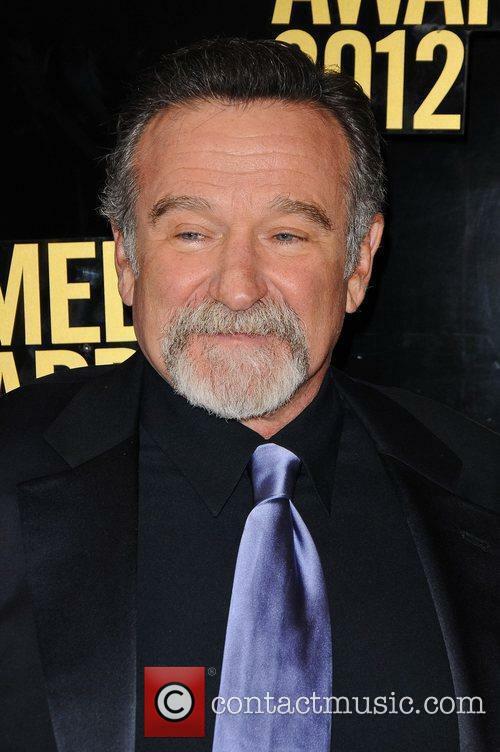 From the fantastically eccentric Mrs Doubtfire, to the troubled and unhappy Sean Maguire from Good Will Hunting and the inescapable comedic brilliance of the Genie in Aladdin, Robin Williams stamped his presence on so many films that audiences will never forget. But he also featured in a lot of motion pictures that people have forgotten: perhaps there’s only room in the human brain for so many brilliant movies. As a tribute to the actor, who was found dead as a result of suicide on Monday 11 August, we look at some of his lesser known projects. In Paris, Jennifer Lawrence was caught on camera as she shot scenes for The Hunger Games: Mockingjay Part 2 involving a huge crowd of elaborately costumed extras. The hotly anticipated Mockingjay Part 1 opens this coming November, with Part 2 coming in 2015. Check out photos from 'The Hunger Games: Mockingjay - Part 2' film set in Paris - May 2014. Meanwhile in Los Angeles, Warren Beatty was shooting his new Howard Hughes movie out on the streets where photographers caught Matthew Broderick and a glammed-up Lily Collins at work. The still-untitled film centres on an affair the elderly Hughes (played by Beatty) had with a younger woman. Costars include Annette Bening, Martin Sheen, Alden Ehrenreich, Brooklyn Decker, Oliver Platt and Candice Bergen. The film will be out next year. Take a look at the photos of Lily Collins and Matthew Broderick prep for filming 'Untitled Warren Beatty Project' - May 2014. Taylor Swift has accepted a role on the upcoming movie version of The Giver, the popular 'utopian future' novel by author Lois Lowry. 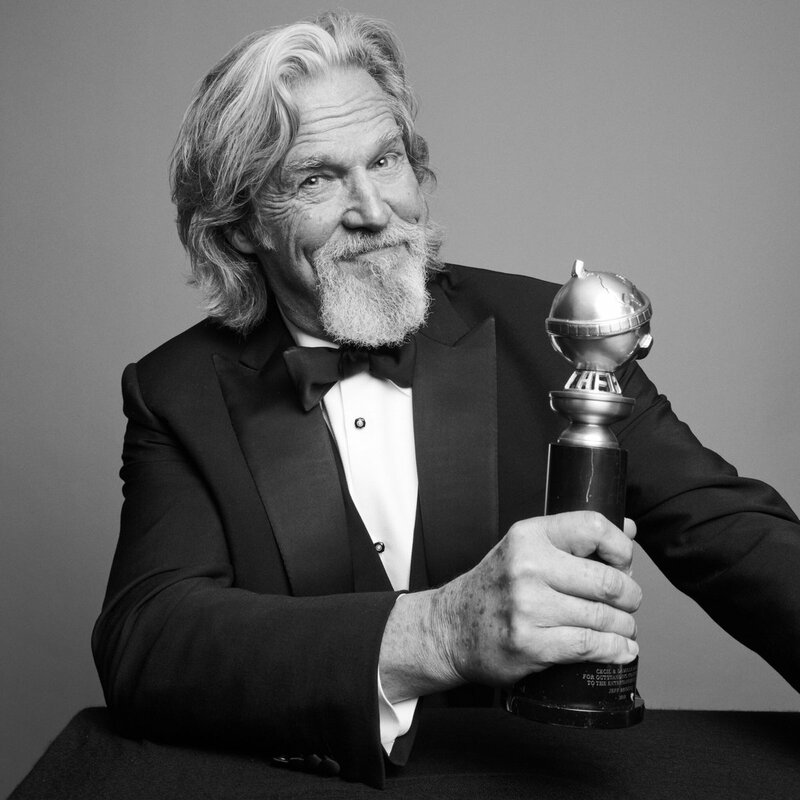 The film, a joint production between The Weinstein Company and Walden Media, already has an impressive cast lined up, including Meryl Streep, Jeff Bridges, Brenton Thwaites, Alexander Skarsgard and Katie Holmes, with Swift joining the film in an unspecified role. Lowry's novel tells the story of a utopian society that gradually appears more dystopian as the story progresses, and is told through perspective of nearly-12-year-old Jonas (Thwaites). In the immaculately organised future, people are assigned positions that they will hold on to for the rest of their loves, and Jonas is to be given the distinction of Receiver of Memory; the man responsible for holding all knowledge of the pre-determined present. Upon meeting the previous 'Receiver,' known as The Giver, he is presented with a wealth of knowledge and with it, a moral dilema of whether to remain with his current society, or escape with his newfound information and live freely for the first time. Taylor Swift has reportedly signed on to be part of the cast for a film adaptation of 'The Giver'. Taylor Swift is the latest talent to join the cast of The Weinstein Company and Walden Media's movie adaptation of 'The Giver'. 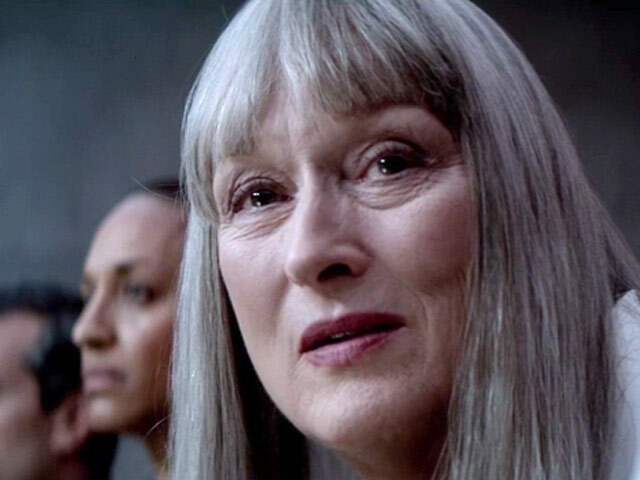 The 23 year old singer has joined an already talent loaded cast that reportedly includes Meryl Streep, Jeff Bridges, Katy Holmes and Brendon Thwaites. 'The Giver' is a dystopian children's novel by Lois Lowry that was first published in 1993. 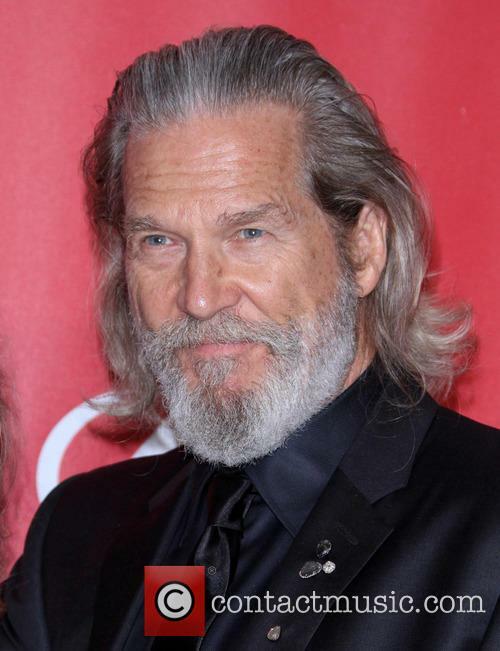 Thwaites will star as a young boy who is chosen for life service as the Receiver of Memories, and the title character Jeff Bridges, teaches the young boy how to use his sensory gifts. The ingredients are all here, but this mash-up of Ghost with Men in Black is a painful misfire, neither funny nor engaging on any level. 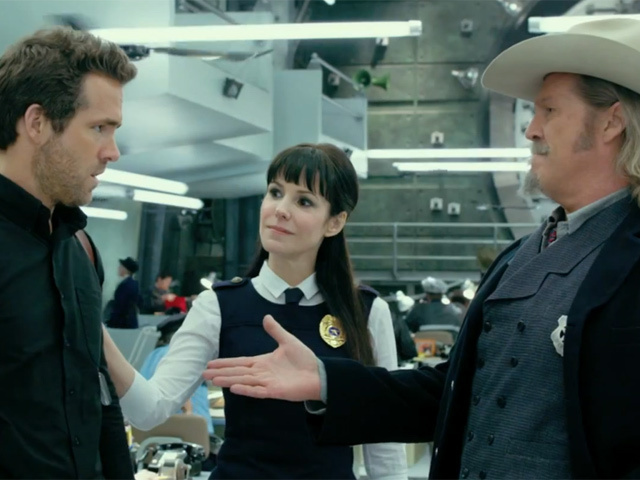 Even usually fine actors like Bridges and Bacon are left with nothing to do, while Reynolds strains to be the straight guy in a comedy that never raises a smile. And we can feel the filmmakers straining to crank up the wackiness at every turn. Set in Boston, the story begins when young police detective Nick (Reynolds) refuses to join in a dirty deal proposed by his partner Bobby (Bacon), who then shoots him in cold blood. In the afterlife, Nick is recruited by a manager (Parker) into the Rest In Peace Department, protecting humanity from ghosts who have escaped judgement. His new partner is Wild West sheriff Roy (Bridges), who is reluctant to break the rules when Nick decides to investigate his own death to help protect his widow (Szostak) from Bobby's nefarious plan. Yes, the plot is so in-grown that it never takes off, circling around a handful of characters even though it involves bringing about the end of humanity. Of course it does. These kinds of movies couldn't have stories that make any sense, and filmmakers can't resist making the ghosts goofy, rubbery cartoons rather than characters who are actually scary or interesting. The excessive use of digital effects makes the whole movie feel desperate as it strains for both laughs and teary emotion, but it gets neither. 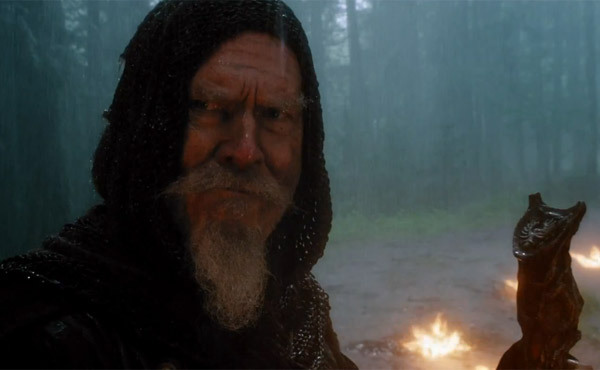 The trailer for this fantasy epic has got us excited. The last time we saw Jeff Bridges he was lumbering around the deep West as Rooster Cogburn, being harangued and harassed by the brilliant Hailee Steinfeld as Mattie Ross in 2010’s True Grit. Now he’s some sort of fantasy dojo teaching a young warrior to fight the evil spirits they plague their world in The Seventh Son. 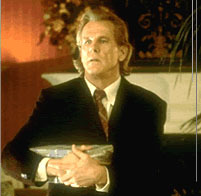 Master Gregory – Bridges’ character in the film – bears no resemblance to anything we’ve seen from the Big Lebowski before. He’s nimble, wise and mysterious as he trains young Thomas played by Ben Barnes (Dorian Gray) in the art of battle. John Gregory is a Spook charged with ridding the country of witches, beasts and malevolent forces. 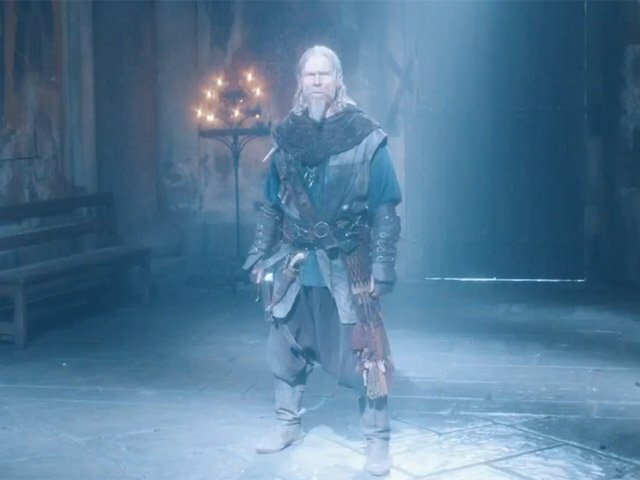 But, as the years tick by, he realises that he must enlist another to keep evil at bay in the form of Thomas Ward, the seventh son of the seventh son who possesses the power to see things others cannot. When the powerful witch Mother Malkin makes her return, after Gregory thought he'd defeated her years ago, Thomas is forced to confront her and slay her once and for all. But things aren't as easy they seem when he befriends a witch girl who convinces him that not all witches are bad. Will Thomas succeed in sending Malkin back to the grave? Or will he find himself putting his trust in the wrong people? Where Does 'The Lone Ranger' Rank In List Of Biggest Movie Flops? 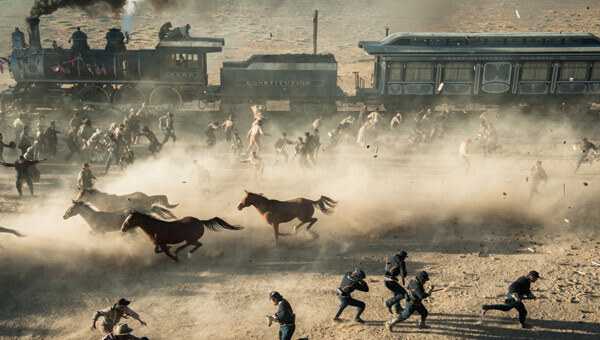 Could 'The Lone Ranger' be headed for the Guinness Book of Records? Ok, so by now everyone's well aware that Jerry Buckheimer and Gore Verbinski's The Lone Ranger is a monumental flop - a serious disaster that could cost Disney $150 million. 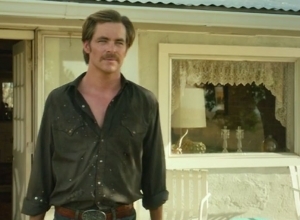 The Johnny Depp-Armie Hammer starring western took just $48.9 million over the usually lucrative five-day Independence Day weekend - leaving it miles from its $175 million marketing budget, not to mention its $250 million production costs. According to the Hollywood Reporter, Disney is praying for a return of $150 million abroad, taking its worldwide total to $275 million and $150 million short of its $425 million total budget. "It's very disappointing," said Disney executive vice-president of worldwide distribution Dave Hollis. "Everything was perfect on paper, so today was incredibly frustrating." The problem is, nothing could be described as perfect. If Hollis is referring to Johnny Depp than it's lazy marketing. If he's referring to Verbinski in the directorial seat, or the bloated budget, than it's just stupid talk. The Lone Ranger has received some of the worst reviews of the year - it's a terrible movie - and unfortunately, nobody wants to watch big-budget westerns. Did Cowboys and Aliens teach them nothing? Continue reading: Where Does 'The Lone Ranger' Rank In List Of Biggest Movie Flops? Kyra Sedgwick, wife of actor Kevin Bacon, sliced the tip of her finger off on Saturday night (29th June 2013). She was, according to Bacon who posted pictures of her injury online, in the process of cutting kale when she obtained the injury. Kevin Bacon posted pictures of his wife, Kyra Sedgwick, online after she accidently sliced the tip of her finger off. She was cutting kale when the injury occurred. The pictures were posted on Saturday evening (29th June) on Bacon's WhoSay account. Kyra Sedgwick and Kevin Bacon at the renaming of the Lynn Redgrave Theater, New York. One picture shows his wife sitting looking understandably miserable on a hospital bed holding up her bandaged hand. Bacon tagged his wife in the picture and added the comment "in the ER. Kale isn't ALLWAYS HEALTHY... if you chop the end of your finger off". 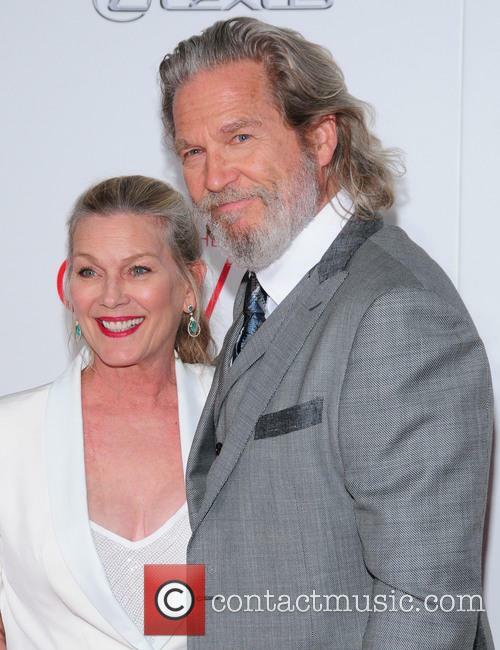 Continue reading: Kevin Bacon Warns His Wife Kyra Sedgwick: "Kale Isn't Always Healthy"
Ben Affleck has certainly scored some awards over the past year. 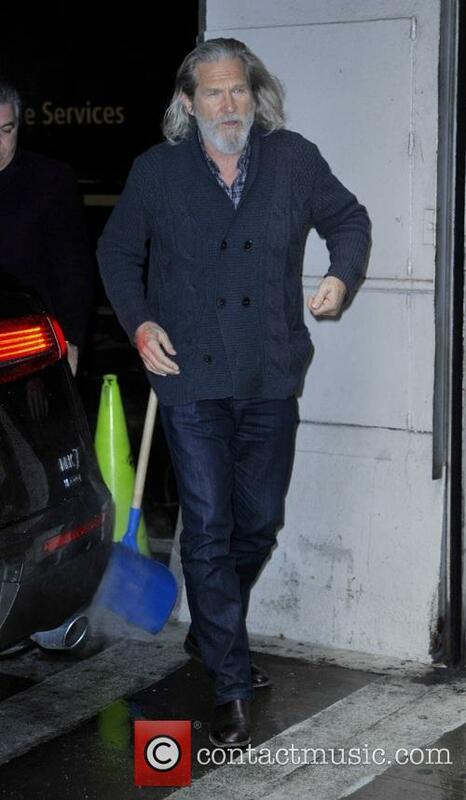 Ben Affleck was awarded with the Spike’s Tv ‘Guy of the Year Award’ on Saturday (aired last night). The ceremony took place in Culver City, California. Affleck was presented his antler shaped (nicknamed ‘mantler’) award by fellow Oscar winning actor and director, Clint Eastwood. This is one of many awards; Affleck has received this year including an Oscar for his film Argo. The Awards were first held in 2007 and previous winners have included Brad Pitt, George Clooney, Mickey Rourke, Maek Wahlberg and Matt Damon. As you’d expect, the awards are hardly female friendly (there is an award named the ‘holy grail of hot’) yet many turned out for the event including Jennifer Aniston and Jessica Alba. The awards are hardly on par with the Oscars or a Golden Globes – there was a category in 2012 for ‘Hottest Zo(o)e(y)’. The nominations for this particular award were somewhat limited. However, the award’s lack of prestige did not prevent Affleck celebrating backstage with Snoop Dogg, Vince Vaughn and Jimmy Kimmel. 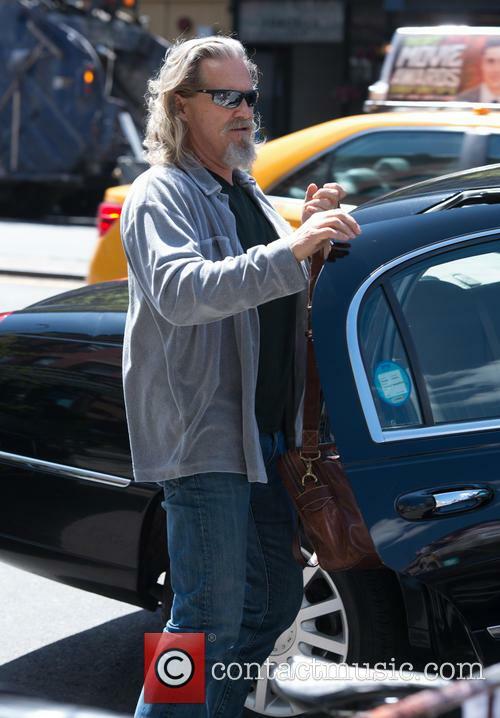 Despite apparent interest from the original cast, a sequel to The Big Lebowski is looking unlikely. The Coen brothers may have emerged as the new favourites for this year's Palme d'Or at the Cannes Film Festival after their new movie Inside Llewyn Davis received five star reviews across the board, though the filmmakers have shot down reports they are developing a sequel to their cult hit The Big Lebowski. 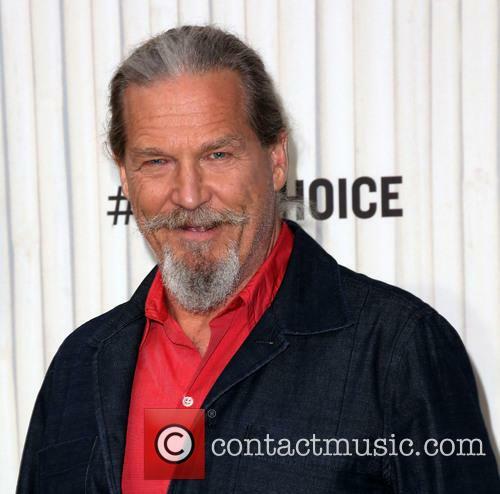 The 1998 comedy about Jeff Bridges' hippie bowler character 'The Dude' is amongst the Coen's most popular work and Bridges himself has spoken of being open to a sequel. "John Turturro, who wants it, talks to us incessantly about doing a sequel about his (bowler) character Jesus," Ethan Coen said at Cannes this week, "He even has the story worked out, which he's pitched to us a few times, but I can't really remember it. No, I don't see it in our future." If Ethan left the slightest possibility of a sequel, brother Joel shut down door firmly shut, "I don't think it's going to happen ... I just don't like sequels," he said. Nick Walker was a promising SWAT officer before getting brutally killed in a police raid. But waking up dead isn't the only thing that alarms him as he is whisked away to a police station in the heavens. He may be dead, but to the undead souls of the R.I.P.D., he's much too good to lose and so he is enlisted into the afterlife police force of the 'Rest In Peace Department' because criminals aren't just a thing of life. He must now fight the evil souls of the underworld that have escaped judgement as they threaten to terrorise the living; helping him is the veteran Sheriff Roy Pulsifer, an expert in the field of keeping dead souls at bay. Through the chaos of the misbalance between life and death and good and evil, Nick attempts to find the man who shot him dead and bring justice to both the living and the dead. 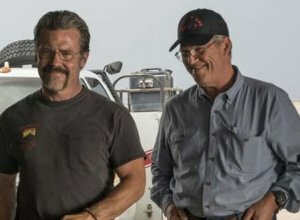 The first official trailer for the upcoming summer action flick R.I.P.D. has gone online. 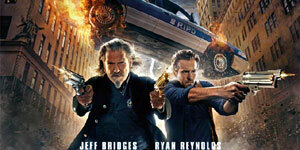 Jeff Bridges and Ryan Reynolds are starring in one of the summers most anticipated action blockbusters, R.I.P.D. and after months of waiting the first trailer for the supernatural, action-packed adventure has gone viral. 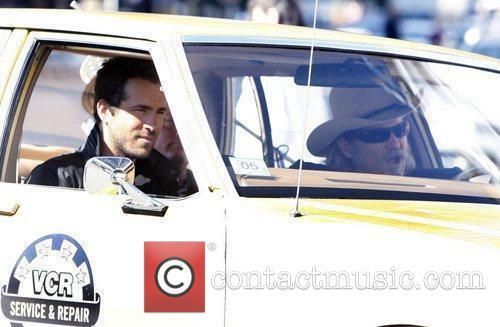 The buddy cop film will be released in cinemas, in 3-D of course, by Universal Pictures on July 19 this year. R.I.P.D. 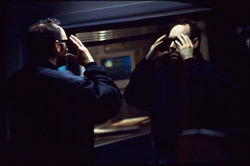 (which stands for 'Rest in Peace Department') has been adapted from the Dark Horse comic book series of the same name and follows recently deceased police officer, Nick Walker (Reynolds), who was killed in the line of duty at the prime of his career only to find himself being drafted in to police paranormal activity from beyond the grave. 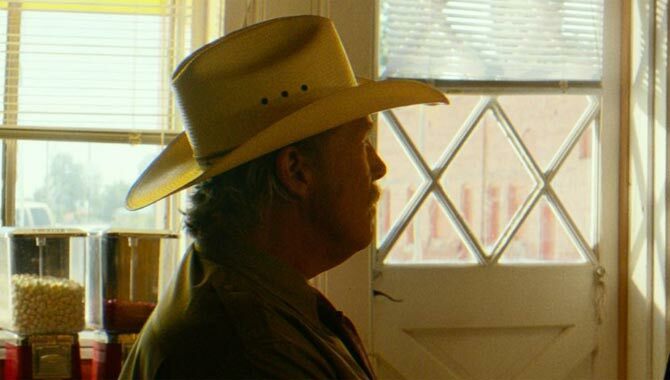 Teamed with the battle-scarred sheriff Roy Pulsifer (Bridges), it's up to these two to catch foul souls that have managed to escape judgment when they were in limbo whilst Reynold's character also tries to track down the man who killed him and drew him into this bizarre world in the first place. More than thirty nine million people in the U.S. - one in four of them children - don't know where their next meal is coming from. 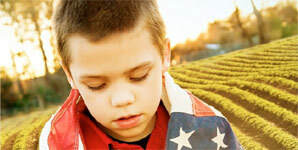 Hunger is a very real problem for the country; it's not just confined to third world countries in Africa. 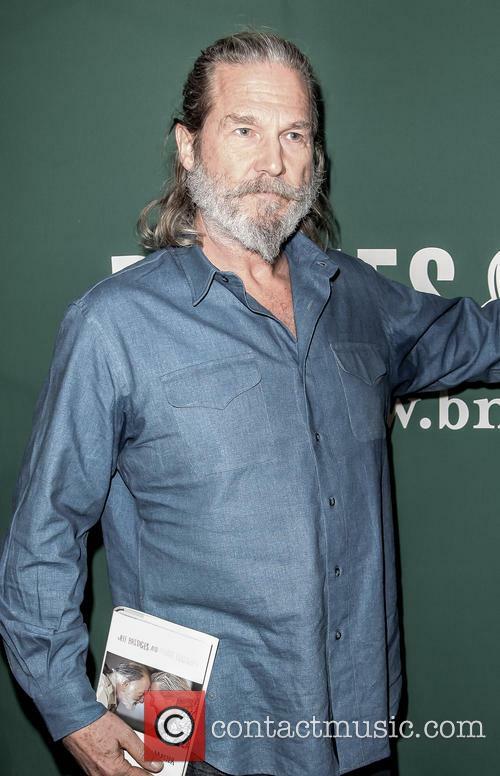 Jeff Bridges was at a press junket at Barnes & Noble yesterday, to promote his new self-titled album. 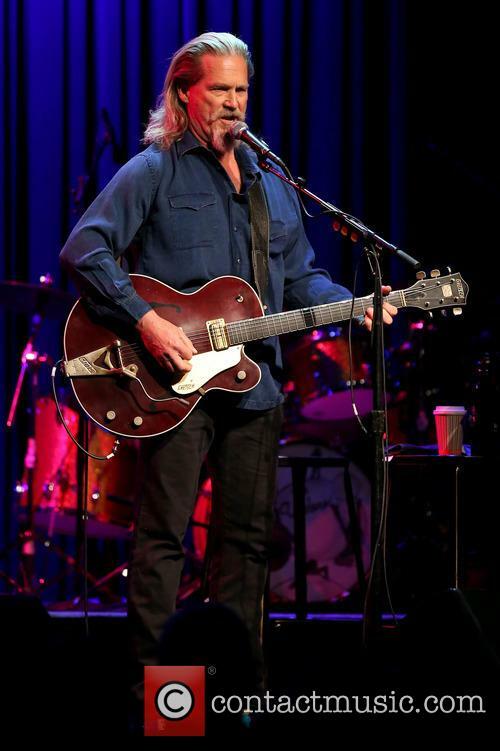 Bridges recently revealed that the original idea for the album was conceived of over thirty years ago, when he became friends with Nashville legend Kris Kristofferson, on the set of epic film Heavens Gate, the press association reported. He also talked about how his love of music has inspired him to take on acting roles that require him to play music: "Whether it's playing jazz piano in Baker Boys or being a country artist in Crazy Heart, it's in me and it's just something that comes out every once in a while." Sam Flynn's father disappeared when he was 2 years old, now 25 years on he decides to look into the occurrence, according to his father's friends, Kevin would never have left his Sam in the way he did. Based on true events as recounted in the Jon Ronson book, this freewheeling war comedy is deeply entertaining due to the crazy-but-believable premise and wonderfully outrageous characters. 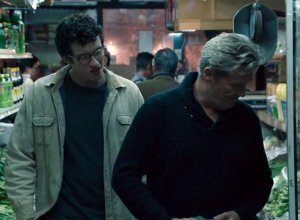 Bob (McGregor) is a Michigan journalist desperate to prove himself, so he heads to Kuwait, hoping to find a story in Iraq. He meets the enigmatic Lyn Cassady (Clooney), whose story is so surreal that he can't help but follow him into the hot zone. Lyn is a member of the New Earth Army, a secret platoon formed in the 1980s by a hippie (Bridges) to create soldiers with Jedi mind powers. But their work went wrong when a jealous teammate (Spacey) dragged them into the dark side. Masked & Anonymous, as a title, comes across as a vague, artsy moniker as inaccessible as the film it represents. But look closer at the name of this movie about revolution and despair, and you'll discover a clear reference to the film's writers; credited as Rene Fontaine and Sergei Petrov, the screenwriters have been unmasked, as it were, revealed to be the film's iconic star, Bob Dylan, and director Larry Charles (HBO's Curb Your Enthusiasm). The result of this combination is an overly ambitious film that's as muddled and cryptic as a mumble-filled Dylan vocal. Dylan stars as the symbolically named Jack Fate, an apparent musical legend, jailed in the midst of a brutally downtrodden America where the government has taken over, war is rampant, and even the counter-revolutionaries have counter-revolutionaries. There's just one thing standing in the way of "ArlingtonRoad" taking a place among the best film noir politics-and-paranoiathrillers -- the script is so tight that the hero is forced to make a dumbmistake now and again to advance the plot. 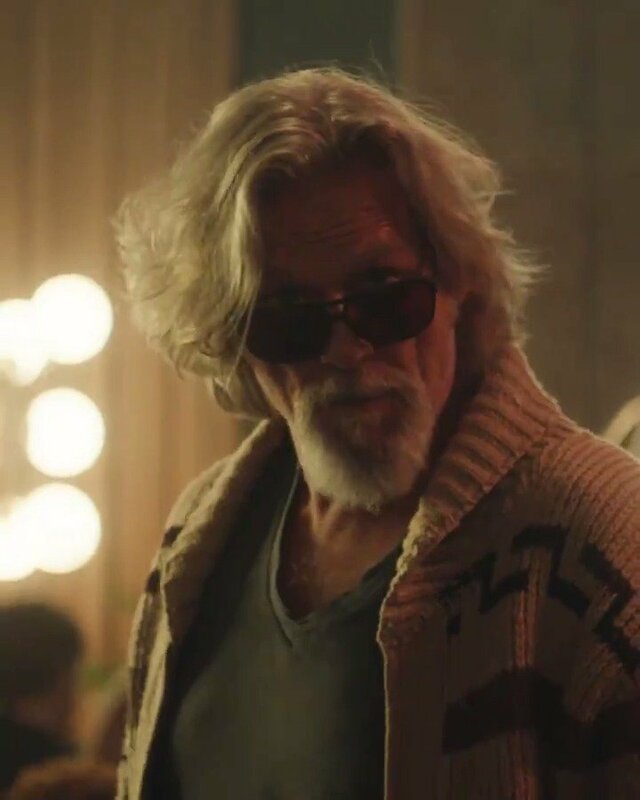 That hero is Jeff Bridges, playing a West Virginia historyprofessor who obsesses over his class in domestic terrorism because itdoubles as a form of therapy while grieving for his dead wife -- an FBIagent killed in a botched, Ruby Ridge-like raid. He's a guy doesn't trust the government one bit, and inhis class sermonizes that federal and extremist conspiracies abound andthat the lone psycho theory applied to most American terrorists is a ruseby the feds to lull the populace into feeling safe again in the wake oftranquillity-shattering attacks. Adapted from Sam Shepard's play about betrayal, blackmail, and a horse racing scam that haunts its conspirators for 20 years, "Simpatico" gets by for a while on a cast full of tense, brutal, benumbed performances. 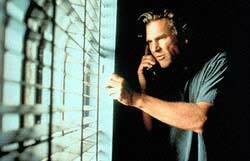 Nick Nolte stars as Vinnie, a haunted, hard-drinking and fraudulent private eye who has lived a near-destitute existence in Los Angeles for two decades on hush money extorted from a former friend named Carter (Jeff Bridges), his partner in a pony-fixing during their younger days. As the film opens, Vinnie sets in motion a chain of events designed to see him trade places with Carter, now a rich Kentucky breeder. He plans not only on usurping the wealth his ex-buddy has amassed since their friendship disintegrated, but also on recapturing the cold heart of Rosie (Sharon Stone), the girl that came between them.